Come to the Pome every Wizard Wednesday. The day where you can guess the weight of your Froyo. 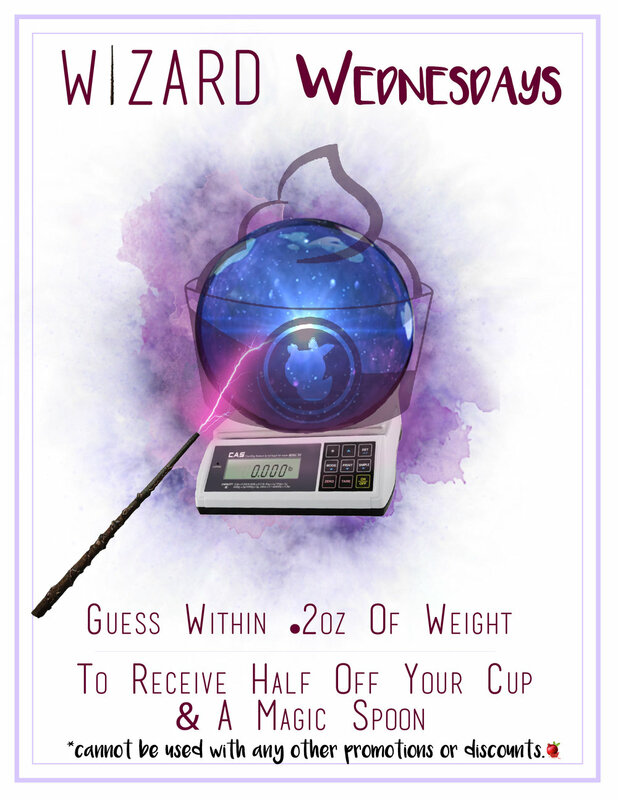 If you guess correctly within .2 oz, you will receive 50% off and a magic spoon! In addition, enjoy walk around magic between the hours of 6:30 - 8:30 pm. See you at the Pome for fun and delicious Froyo!